With business competition becoming intense, almost every organization is aware that they need to invest in online advertising to succeed. Smart business owners are aware of the fact that in order to reach out to their customers, they have to maintain their presence online and promote their products regularly. However, most of them remain confused about where to start from and how to run their promotional ads. And the questions are endless. So, to make things easier for you, we will discuss more about Google AdWords Express and how it can help you to promote your business. If you have the time to manage your own online campaigns where you are able to devote around 5-10 hours per week then AdWords might work for you. It gives you the opportunity to show up on Google.com, Google Maps, Google Display Network. Based on how you build your campaign and how active you are, you have to devote your time on campaign management and optimization. For this, you need to create a campaign structure, set bids, write text ads, choose keywords and even optimize on your own. Google AdWords Express is different from the traditional Google Adwords as it is specifically tailored for local and small businesses. So, if time is a crucial factor and you want your ad campaigns to run quickly with limited resources, then AdWords Express is the best option before you. It is a simpler and faster means of starting paid ads on Google so that there is an increase in site traffic and sales. With this, you can easily set a budget for advertising and Google will offer you a list of keywords to trigger the ads. Ongoing management and minimal maintenance will also be provided by Google. This fully automated advertising program for marketers allows small business owners who don’t understand AdWords or those who don’t have ample time to invest in PPC and manage their advertising campaigns. With AdWords Express it is now very easy to get your ads live within minutes. Since the setup process only consists of 4 easy steps, it takes only 5-10 minutes to complete the process and you are done. You don’t have to choose specific keywords or even start bidding prices. This is done by Google and it saves your precious time. You don’t have to look for keyword tools or Excel spreadsheet with keyword variations that may involve a lot of your time. For those start-up business owners out there, Google will also recommend a monthly budget that is based on Google’s Bid auction model. So, finally you don’t have to worry about your budget as well. Now you can say goodbye to manual keyword analysis with AdWords Express. You are also free from the work involved in changing the bid as Google will automatically place the ads based on the category chosen and also at the same time ensure that your ads are displayed properly when relevant to attract more visitors. Based on your geographical location, Google will automatically target your ads. With this function, you don’t have to worry any more about segmenting by region, state or country. So, if your ad category belongs to food products, then it will only show up for those categorized queries. This will also save a lot of your valuable time, which you can devote to something else for the growth of your business. This function uses Google’s algorithm so that you don’t have to work on it. Is AdWords Express the right choice for your business? As an online marketer, there are some concerns that local business owners should consider to ensure that they spend their budget efficiently. We are aware that there are great benefits of using AdWords Express, but make sure to consider even the cons that are related to your business. 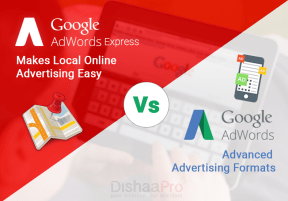 If you are eager to launch a PPC campaign locally and want to reach out to the market very fast, then AdWords Express can help you to drive local searches for your business without wasting much time. But if you are looking for optimization, quality and efficiency, then AdWords is of course a better option. So, at the end we can conclude by saying that based on your business requirements, it is you who should choose the perfect tool for your ad campaign and help yourself to grow your business.